According to the National Safety Council, the risk of a fatal crash is three times greater at night than it is during the day. Factors contributing to this include night vision, rush hour traffic, impaired drivers from drugs and alcohol, shorter days and fatigue. It also doesn’t help that in dark things such as depth perception, color recognition, and peripheral vision all decrease. Bright headlights from oncoming traffic can also cause a driver to squint or be temporarily blinded from the road. And on dark roads with no street lights, visibility from headlights even on the highest setting is reduced up to 50%. So what can you do to help prevent accidents at night? Make sure your headlights are aimed correctly and are thoroughly cleaned. Avoid speeding to make sure you can stop in time and clean your windshield to eliminate glare from oncoming headlights. If you wear glasses, making sure the lens are anti-reflective can also help at night. If you suffer from bad night vision, the American Optometric Association recommends having annual vision exams, driving slowly, minimize the amount of distracted driving at night (such as listening to the radio or bringing passengers into the car). Elderly people might suffer from cataracts or degenerative eye disease so it recommended that they don’t drive at night. A National Sleep Foundation poll says that 60% of adults have driven while they were tired and roughly 4 million of them have admitted that they have caused a crash by falling asleep while driving. The National Highway Traffic and Safety Administration said that 100,000 police reported crashes were a result of driver fatigue. To prevent drowsy driving, getting proper sleep at night and only driving during hours you are normally awake can help prevent accidents. Driving at night is unavoidable but if there’s option to wait until morning, it might be the safest thing you can do. It’s probably not a surprise to anyone that there are a far greater number of motorcycle accident injuries than automobile accident injuries. Bikes aren’t nearly as safe as motor vehicles or trucks, and that can only be compounded by the thrill-seeking personality of most motorcyclists. Insurance premiums for these vehicles are often more expensive not only because of the number of accidents, but also because of how catastrophic they usually are. Road Rash. Have you ever had a really bad rug burn? A terrible noogie? Well, road rash is indescribably worse. When your bike tips and slides at high speeds, you’ll suffer from road rash. At that point you may have been flung away from the bike and started to rub against the pavement all by yourself. No protective gear or clothing is enough to prevent the skin loss that results. The injury is often made worse by subsequent irritation, inflammation, and infection. Hopefully you won’t need skin grafts. Muscle. Doctors and surgeons will often notice muscle damage after motorcycle accidents. If an accident leaves you paralyzed, your muscles will start to wither away. Any major injury will require physical therapy in order to build you back up to where you were before the accident. Don’t forget about the loud sounds of the roadways–wear earplugs or buy a helmet that protects your ears in order to prevent bursting eardrums of an increased chance of deafness later in life. Legs and Arms. When you fall–this is after the road rash but before the muscle damage becomes permanent–you’ll likely experience damage to the leg and arm on the side of the impact. Broken or shattered bones are commonplace, or perhaps you’ll be fortunate enough to experience only scrapes and lacerations. Biker’s arm occurs because of the instinctual reaction to being flung from a high-speed vehicle. When you place your hands and arms in front of your face, you won’t just suffer from broken bones–you’ll suffer from nerve damage. Other. You’re also prone to permanent disfigurement, amputation, paralysis, and traumatic brain injury (or TBI). About ten percent of individuals who experience TBI cannot live on their own after the accident because of permanent neurological damage. Be sure to wear a helmet when you’re on the road! Motor vehicle theft occurs when one’s vehicle is taken by another without permission. Technically, such theft would be considered a larceny under the law. A larceny, in simplest terms, is any theft of personal property. However, due to the severity of motor vehicle theft, and the frequency that they occur, the government has designated this form of theft its own category. Thus, motor vehicle theft has its own punishments and laws that come with it. Typically, motor vehicle theft is classified as a misdemeanor or a felony, depending on the state and severity of the crime. However, some states have additional nuanced penalties depending on the type of motor vehicle theft committed. For example, in the state of Alaska, operating the vehicle in “a dangerous way” during the theft increases the potential punishment. In California, if the vehicle stolen was a police car, the level of vehicle theft increases from a misdemeanor to a serious felony. Texas gets even more nuanced — if the vehicle theft was committed in county designated by the governor as disaster area, the penalties are increased. Furthermore, as is typically the case with most crime, repeat offenses increase the severity of the penalties associated with it. Well, if you’re a driver, it is relatively simple to protect yourself from being a victim of motor vehicle theft. There are a few crucial steps to minimize your potential risks. First, always make sure to lock your car doors. Even if you are just going outside your vehicle for a brief moment, this step is imperative. Next, make sure that all of your windows are rolled up completely. Don’t forget the sun roof if your car has one! In addition to these steps, you want to place all valuables out of sight. This means they can go in the trunk, glove compartment, or stay with you. Lastly, you can always opt to put an alarm sticker on your car window, informing potential thieves that you are secure. If you have been accused of motor vehicle theft, the following steps are not quite as simple. In some cases, this accusation may be truthful, in others, the situation may be far more complex. Regardless, there is one step ubiquitous to all cases: contacting a criminal defense attorney. They can help develop a legal defense to best represent you and your motor vehicle theft case. Will I be Held Liable if my Car was Stolen and in an Accident? Unfortunately, car accidents happen every day. They can be a tragic event involving fatalities or as small as a tiny dent on a bumper. Regardless, all car accidents should be reported to the police and the respective drivers’ insurance companies. The only thing worse than being in a car accident yourself, is if your car is stolen and involved in an accident. Not only do you have to deal with the stress that comes along with a stolen vehicle, but you have to deal with the stress of your car being in an accident. What Are Your Responsible For? Call the Police: Tell the police all about your car. Let them know that it has been stolen, the make, model, color, license plate, and any other important information. Call your insurance company: After you call the police, the next step is to call your insurance company. In case anything happens with the vehicle, you should document that the vehicle was stolen. If your car has been stolen and has been involved in an accident, you will not be held liable. The reasoning behind this ruling is that you did not willfully lend your car out to someone. If you, or your vehicle, has been in a car accident, the next best step after alerting the authorities is to contact an experienced car accident attorney. A car accident attorney will investigate your case and decide whether or not you will be held liable. In the case that you are injured in the said crash, a car accident attorney will file a lawsuit. Car accidents are a stressful experience and the collision can be terrifying. A car accident can leave you with injuries that range from mild, like a sprain or fracture, to severe, like a traumatic brain injury or paralysis, and in some cases death. Car accidents tend to have long lasting effects, whether it is an injury or emotional stress from being in the accident and possibly having to get a new car. If you are involved in a car accident and are injured you should contact an experienced car accident attorney. Check yourself and your passengers for injuries: Check yourself and your passengers for any injuries. If you discover an injury, call 911 immediately. Stay at the scene: It is important that you remain at the scene of an accident until it is appropriate to leave. 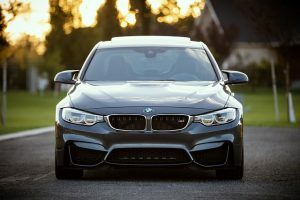 If you leave the scene early and the other driver suffered damages, injuries, or died in the accident, you may be brought up on criminal charges as a hit-and-run driver. Get to safety: If you are able to, pull over to the side of the road. Proceed by turning your engine off, turning on your hazard lights, and setting up road flares, if you have any. By turning on your hazards and putting out road flares, other drivers will be able to see you and avoid a collision with your car. Call the police: Whether you are in a fender bender or a major car accident, call the police. The police will come and file a report. You should ask if it is possible for you to obtain a copy of the accident report. The accident report outlines what happened, often proving fault and noting if any traffic laws were violated. Identify the officers: Get the name and badge number of all police officers who respond to the call. Get a copy of the police report: Ask a police officer if you can have a copy of the accident report. Take pictures: Take pictures of the accident from different angles; try to get the other driver’s license plate in one of the pictures. Take down a name: Write down names and addresses of every party involved. This includes passengers in the other vehicle. Talk to witnesses: If there were any witnesses to the accident, take note of their full name and contact information, as well. Inform your insurance company: Let your insurance company know you were involved in an accident. Be truthful, cooperate with them, and let them know of any injuries you have suffered. If you are not truthful with your insurance company, they withhold the right to deny you coverage of the incident and future insurance coverage. Obtain a copy of the police report for proof of fault. Keep track of medical visits: Note any doctors visits, physical therapy, or any other medical professional you receive treatment from. Keep a record of all treatments or medications you receive. Request copies of all medical reports and bills in order to help you prove your medical expenses later. Tracking pain and suffering can be difficult. In order to do so, take note of how your injuries affect your day-to-day life. It is important to keep track of any missed work days, a list of any activities you cannot partake in, and describe how the injuries have affected your family life. Hire an attorney: If you have been in a car accident and you or a member of the crash was injured, you should contact a car accident attorney. A car accident attorney will help you either maximize your recovery for damages or defend you, if necessary. Car Accident, No Seat Belt: What Happens? The severity of a car accident is greatly impacted by the use of seat belts. The initial impact of a car accident can do its share of damage to a human body, but in reality, much of the damage to the body comes after the initial impact. If the body is restrained by a seat belt, the damage is mitigated, while many of the more serious injuries and deaths tend to come from human bodies that are not constrained by seat belts and are bounced around inside a car after impact. In physics, there is a law that says that an object in motion remains in motion until it is stopped by another object. And this is on display during a car accident. If you were to see an accident happen in slow motion, you can see very clearly the difference with a human body that is restrained by a seat belt and one that Is not. As a car moves, then hits an object (a wall or another car), you can see the momentum of the car stop. All of the human bodies in the car are also moving at that same speed prior to impact and they are separate from the car, so as the car’s momentum stops, the humans’ momentum continues unless they were stopped by a seat belt. However, any humans not wearing a seat belt would continue their forward momentum until they hit some object – the back of a seat, the dashboard, or the windshield. As you see these take place, it makes reasonable sense that in 99.5% of accidents, injury and death rates in car accidents are greatly reduced thanks to properly functioning seat belts keeping people in place and stopping momentum before a part of the car does. How important are these physics? Recent statistics show that more than half of all people who died in crashes in 2015 were not wearing their seat belts. So what if you weren’t wearing a seat belt at the time of an accident, though the accident wasn’t your fault? Can you still get damages for any injuries? That is actually a trickier question than you might think. In about 20 states, there is what is called a “seat belt defense,” which lowers the potential award for a claimant if the claimant was not following state seat-belt laws. In this case, the number of damages for which it may be liable may be reduced because it can be reasonably found that at least some of the injuries by the claimant were a result of not wearing a seat belt and were not from the impact of the crash. Whether you are at fault in an accident or not, make sure to consult with a personal injury attorney from Memphis Law Firm to discuss the specifics of your auto-accident case and the role that seat belts may or may not play. Regardless of fault, your rights and assets should be protected, just as much as seat belts are designed to protect you from more serious injuries.